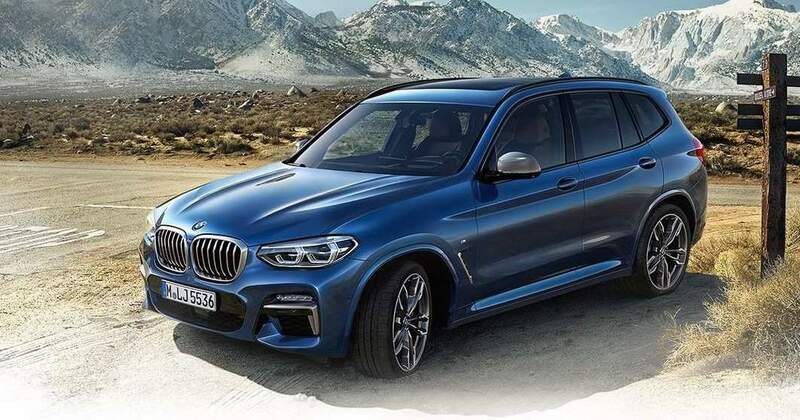 I’m torn about this car: on one hand it seems like BMW has extended its same-sausage-different-lengths approach from sedans to crossovers, as it looks like a smaller X5, or a larger X1…. depending on the angle from which you’re looking at it, and depending on which of these other two you’ve last seen. On the other hand, this is the first time BMW has designed an X3 that doesn’t look awkward. The first generation’s design was plainly unattractive with its long, low hood and beltline and tall glass house, and the weird shape of its headlights with blinkers larger than the rest. This car was lucky that Mercedes-Benz was even further off the mark with the GLK. The second generation had better proportions, but I never warmed to the front-end design, which was too soft to fit in the BMW line-up with its aggressive looking models. The facelift improved this somewhat, but came too late as by that time Mercedes-Benz had upped its game with the GLC. The third generation X3 finally looks handsome, just not that original…. The last time the X3 has topped the segment it had virtually to itself until 2006 in the US (Acura RDX) and even 2008 in Europe (GLK, Audi Q5 and Volvo XC60) was 2012 in the US and 2013 in Europe, and the competition has intensified since with a stronger-than-ever XC60 and new arrivals from Land Rover, Jaguar and Alfa Romeo. The new X3 will have to set itself apart from the masses if its wants to top the charts again, and a first-ever M-version won’t be enough. When pictures of the new E-Pace surfaced two thoughts immediately crossed my mind. First, that the new car is entirely unimaginative, exactly what you’d expect the baby brother to the F-Pace to look like. 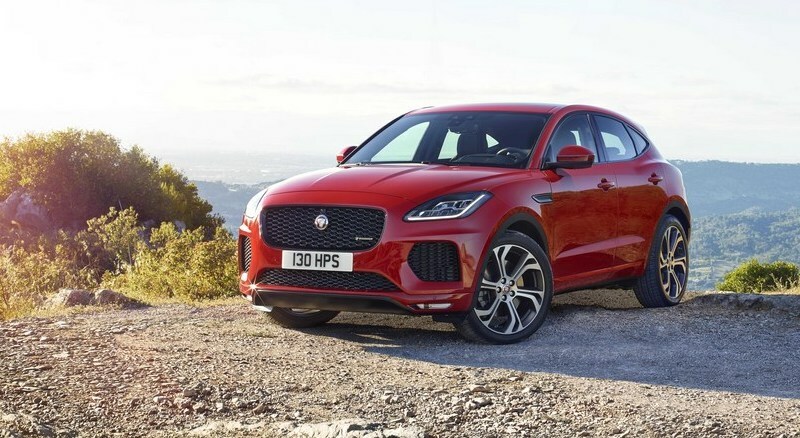 And second, that by ticking all the right boxes for its baby crossover Jaguar just made life a whole lot tougher for its competitors in the Premium Compact SUV segment. After all, there is little the E-Pace does not have: it has great looks, it comes from a brand that is pretty cool these days, it is built on a tried-and-tested platform from the Land Rover Discovery Sport, and it has an entirely modern set of engines that should appeal to every taste in the segment. Sure, the interior seems to be a mix of the good (overall shape, the new central touchscreen) and the bad (design details, tiny plasticky buttons below the touchscreen), but overall this appears to be yet another huge step forward for the brand. Again I have to agree with Kriss: this car really does tick all the boxes and there’s no way this is not going to be a runaway success. Its smaller size allows for even more sportiness in the design than the F-Pace and it looks good on it. Ian Callum and his team appear to feel more comfortable designing crossovers than they are designing sedans, as the XE isn’t well-proportioned and the XF’s design is already starting to age. Look for Jaguar sales to double again when the E-Pace hits showrooms. Adding Chinese production will greatly boost the brand in that hugely important market as well. Mercedes-Benz’ first take on a pick-up truck looks pretty cool from the front, as they’ve done a great job hiding the fact that it’s based on the existing Nissan NP300 Navara. At the rear three quarters, there’s just not enough design liberty to distinguish itself from the pack, but that still leaves me a bit disappointed. Surely a brand like Mercedes could have sacrificed some cargo capacity in favor of design? It’s not like the buyers are ever going to use this car for heavy duty purposes, right? This is a so-called “lifestyle truck”, meant to make the owner look cool and tough. If they needed capability, the Nissan would do just fine, and at a much cheaper price too. Then again, the interior is what makes it a true Mercedes-Benz, and they haven’t failed to deliver on that. This even more underscores the purpose of this vehicle, as the Vito and Sprinter work horses have a much more basic interior than the X-Class, which is obviously more of a passenger car than a commercial truck from the inside. The dashboard wouldn’t be out of place in an E-Class, and I’m sure the truck feels and sounds like a passenger car too. And I’m also sure there will be a huge market for this, considering the growing popularity of pick-up trucks for “recreational purposes”, not only in the world’s biggest markets South-America, Africa and South-East Asia, but also in Europe, which is still a tiny market in terms of pick-up volumes. Of course I haven’t forgotten to mention the US, as this is by far the single biggest market for pick-up trucks in the world, but the trucks sold there are a class of their own and in no way comparable to the X-Class. 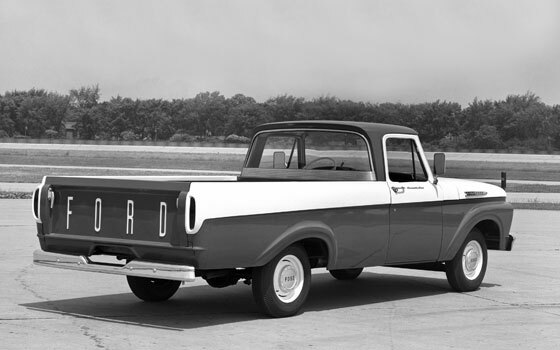 The market for mid-sized pick-ups in the US remains small even though it has greatly rebounded thanks to returning nameplates. Some believe the X-Class won’t be offered in North America because it would stray too far off Mercedes-Benz’ luxury brand image as compared to Europe where people are used to seeing commercial vans and big (semi-)trucks from the brand. However, having seen the aforementioned interior, I believe the X-Class is more true to the brand values than the Metris (Vito) and Sprinter, which are also sold in North America. I personally believe that the X-Class simply wouldn’t appeal enough to the value-for-money conscious American buyers. Even despite the three-point star logo on the front and the posh dashboard, Americans would find it very difficult to explain to themselves (and those around them) why they would pay more for a mid-sized truck than they would for a full-sized one, especially if the latter has similar features but despite its lack of refinement as only Mercedes-Benz can offer. Let me get one thing out of the way up front: I do not think that Volvo’s overall strategy of giving each of its models some sort of electrical component (be it hybrid, plug-in, or full electric) is a sure winning strategy that all other carmakers should follow. Rather, in this era of snap headlines and image-conscious buyers, I think that Volvo scored a major win over its competitors by portraying itself as the “brand that cares” about the environment. In this, it may have in effect positioned itself as the “luxury hybrid brand”, and slotted neatly between the Toyota’s Prius sub-brand and Tesla as the go-to carmaker for environmentally-conscious buyers. This is a strategy that my mind has been playing with for a while, but for which I haven’t had the time to write about. Volvo has realized it won’t be able to beat the Germans at their own game and will never reach the volumes the Big 3 have in luxury sales. So the best strategy is to be radically different and set itself apart from them. Of course, it has already done this in minor ways, for example with its laser-sharp focus on safety and with its dedication to Swedish design with basic yet luxurious interiors. Now it will also set itself apart from a technology perspective, at least in its marketing message. Because the message that “from 2019 all newly introduced Volvos will be available with electrified power trains only”, sounds like a total revolution but really isn’t that extreme at all. Volvo was just the first brand to say this out loudly and may even be the first brand to actually implement this, but other brands are on a similar track, just haven’t yet expressed this ambition. Also, for a relatively small brand with a pretty straightforward line-up like Volvo, this is easier to accomplish than its German rivals, which have filled all possible niches and have as much as three times as many different nameplates in their portfolio. Having said that, I would in no way want to discount Volvo’s strategy, as I still think it’s the only way for the brand to stand up to the German Goliath and survive in the long term. Which of the Summer'17 releases impressed you most? Nice article, although there were more car introductions this summer like the Citroen C3 Aircross (hit! ), Hyundai Kona (so-so), Hyundai i30 Fastback (hit! ), Kia Stonic (so-so), VW Polo (so-so), Seat Arona (miss), Skoda Karoq (so-so), BMW 6 series GT (hit!) and Jaguar XF Sportbrake (hit!). A8 – miss: technologically way behind BMW/MB as always and its design isn’t revolutionary at all. Marc Lichte was probably corrected by corporate or he’s part of Audi’s marketing machine by speaking in terms of make-believe. X3 – so-so: not one of the worst BMW X models anymore. I’m glad they got rid of the weird connection between the headlights and the grille. E-Pace – hit: don’t like to say it, but Jaguar’s SUV’s are very attractive. The E-Pace will be their bestseller in no time. Sadly, we live in a world of crossovers/SUVs. Europe has followed the US and Porsche has set the bad example for brands like Jaguar. 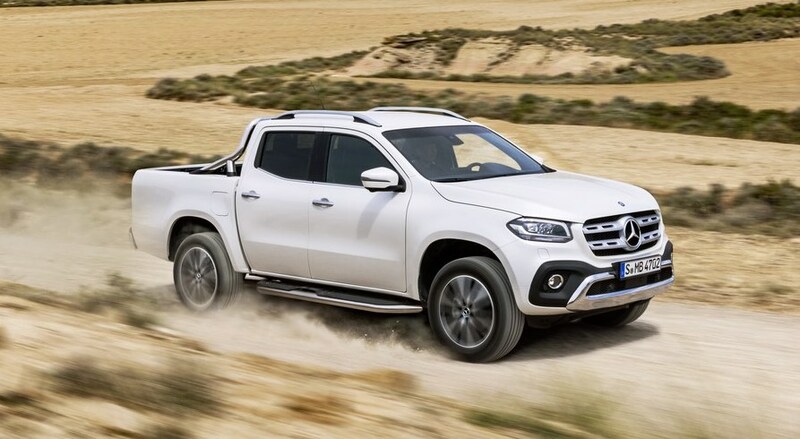 X-Class – miss: sure, Daimler (and BMW) has stated their portfolio is too big and customers feel disconnected with the brand (brand loyalty down due to presence in all segments) so why not introduce a pick-up truck? Haven’t they filled every niche?! I don’t care if they had one back in the day (170 V) and that the segment offers room for them to grow. A Benz should not be a predominantly functional car no matter how much luxury you put into it. At the end of the day the X-Class is just a Nissan Navara with a star at the front. Volvo – hit: as long as the Swedes don’t need collusions like the Germans, they will be fine. A8/X3 – Miss. 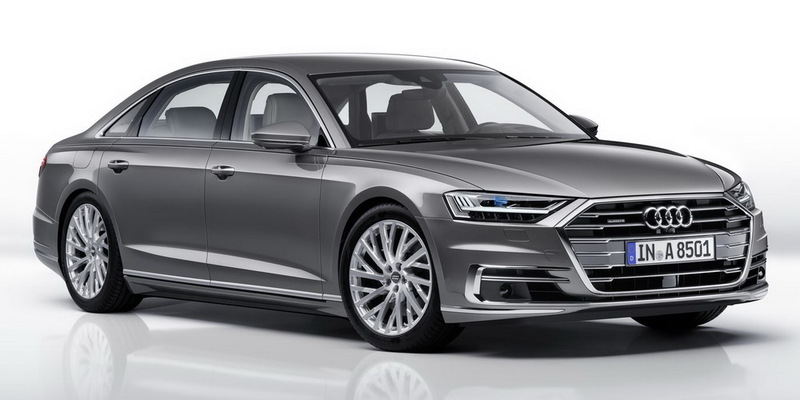 The A8 was supposed to debut Audis new design language. Apparently, the new Audi design language is the old Audi design language + a gaping grille that seems to have been designed by another designer to be used in another car. As for the X3, design is the problem too. I’m sure it drives fine, i’m sure it will sell in droves, but most of it’s competitors also drive fine and look much better doing it. Seriously, the Stelvio, F-Pace, Velar, GLC, Macan, XC60 ( my fave ), even the Q5 and DS7, all look better to my eyes. That’s a lot of cars. E-Pace/X-klass – So-so. I guess i’m the only person in the world who isn’t in love with the Jag, but to me it just looks like it shrunk in the wash. Maybe if they make a long wheel base version for China i’ll like it better : ) The interior is also a big letdown for me, but that seems to be a problem with the whole range. Too dark, too clinical. The X-class is just too close to the Navara, except for the interior, which they changed completely… and looks worse imo. I have to say though that i disagree with Losange and his assertion that Mercedes shouldn’t be mainly functional cars; Mercedes has a looong history in commercial vehicules, and ( a couple versions of ) the X-klass fits right into that range. Volvo – Hit. They’re just sending out all the right signals, and making great cars to back their ideology up. Good job Volvo.